Gilman Law LLP announces that a class action lawsuit has been filed against On Deck Capital, Inc. (“On Deck” or the “Company”) (NASDAQ: ONDK), certain of its officers, and the underwriters of the Company’s initial public offering of common stock in December, 2014 (the “IPO”), in the United States District Court for the Southern District of New York on behalf of a class of persons who purchased or otherwise acquired On Deck securities pursuant and/or traceable to On Deck’s IPO. The class action alleges violations of the federal securities laws under the Securities Exchange Act of 1933 (the “1933 Act”). The Complaint alleges that defendants made false and/or misleading statements and/or failed to disclose information in the Company’s registration statement issued in connection with the IPO relating to the true rate of default for and the true value of the Company’s loan portfolio, specifically that the loan portfolio default rate was steadily increasing and the loan portfolio value was in material decline. The Company raised approximately $240 million in the IPO pursuant to the issuance of 11,500,000 shares at an offering price of $20 per share. After reports of increasing default rates in its loan portfolios and the declining value of its business model, On Deck common stock dropped to a low of $11.15 per share on July 1, 2015, only six months after the IPO. The drop represents a decline of over 40% from the IPO price and of over 60% from its almost $29 per share high on December 18, 2014. The Company’s stock price has declined further closing at on August 4, 2015 at $10.47 per share. TheSecurities Fraud Attorneys at Gilman Law have over 35 years of experience in securities litigation. 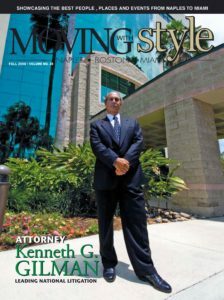 Our Investment Fraud Attorneys focus on cases involving securities litigation, securities fraud, mergers and acquisitions, breach of fiduciary duty and other shareholder disputes.For a free evaluation of your case or to obtain additional information, please complete the Investor Certification or CALL TOLL FREE (888) 252-0048. This entry was posted in Current Lawsuits & Investigations, General Legal News and tagged ON DECK CAPITAL LAWSUIT on August 5, 2015 by Gilman Law. Gilman Law LLP has announced that on July 10, 2015 a federal securities class action lawsuit was filed on behalf of purchasers of Celladon Corporation (NASDAQ: CLDN) common stock between July 7, 2014 and June 25, 2015. The complaint alleges false and/or misleading statements and/or omissions relating to, among other matters, the company boosting stock prices that dropped after the CEO resigned and the company announcing it was suspending the development of Mydicar, its heart therapy drug. The plaintiff also claims the company’s inflated stock price allowed company insiders to profit. Former CEO Krisztina Zsebo sold 226,397 shares for over $4.1 million and Corporate Operations VP Rebecque Laba sold 79, 012 shares for $1.3 million. On April 26, 2015, Celladon announced that the gene therapy had not met its trial goals causing the stock to fall to $13.68. On June 1, 2015, the company announced it was seeking to sell or merge its business and that Zsebo had resigned as CEO. As a result of these announcements, Celladon stock fell further to close at $1.35 on June 26, 2015. This entry was posted in Current Lawsuits & Investigations and tagged CELLADON CORPORATION LAWSUIT on August 5, 2015 by Gilman Law. Gilman Law LLP has announced that on July 7, 2015 a federal securities class action lawsuit was filed on behalf of purchasers of CorMedix, Inc. (NASDAQ: CRMD) common stock between March 12, 2011 and June 29, 2015. The complaint alleges false and/or misleading statements and/or omissions relating to, among other matters, the company’s deception of investors about the market potential of its sole product-Neutrolin and failure to inform investors of some company founders facing prior fraud allegations. According to the complaint, the online investment newsletter, Seeking Alpha, ran a story that stated Neutrolin’s performance in clinical trials was greatly overstated and that CorMedix used stock promoters to inflate the company’s share price. The article also stated some company founders had faced fraud accusations in the past. As a result of the article, CorMedix fell 81 cents, over 16.6%, to close at $4.05 on June 29, 2015. The Securities Fraud Attorneys at Gilman Law have over 35 years of experience in securities litigation. 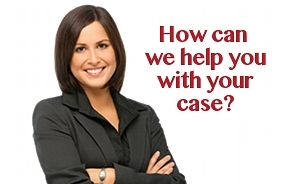 Our Investment Fraud Attorneys focus on cases involving securities litigation, securities fraud, mergers and acquisitions, breach of fiduciary duty and other shareholder disputes.For a free evaluation of your case or to obtain additional information, please complete the Investor Certification or CALL TOLL FREE (888) 252-0048. This entry was posted in Current Lawsuits & Investigations and tagged CORMEDIX, INC. LAWSUIT on August 5, 2015 by Gilman Law. Gilman Law LLP has announced that on July 6, 2015 a federal securities class action lawsuit was filed on behalf of purchasers of Edison International (NASDAQ: EIX) common stock alleging the company risked its $3.3 billion settlement with the California Public Utilities Commission (“CPUC”) over the shutdown of a leaky nuclear reactor by covering up improper contact with the agency. The plaintiff accuses Southern California Edison, Edison International’s largest subsidiary, of causing the company’s stock values to drop amid reports of ex parte meetings about the settlement. The complaint explains that Edison failed to disclose the meeting of its executives and CPUC decision makers in the run-up to the settlement over the malfunctioning reactor, and now that is information is public, share values have dropped and the settlement is in danger. As a result of the meetings becoming public, Edison International fell to $56.07 On June 24, 2015 from $62.00 per share before the information on the secret meetings became public in May, 2015. This entry was posted in Current Lawsuits & Investigations and tagged EDISON INTERNATIONAL LAWSUIT on August 5, 2015 by Gilman Law. Gilman Law LLP has announced that on June 19, 2015 a federal securities lawsuit was filed on behalf of an investor in Qualcomm, Inc. (NASDAQ: QCOM). The complaint alleges the company’s directors allowed the bribery of Chinese officials which lead to a Foreign Corrupt Practices Act investigation by federal agents. The company said it discovered gifts and other benefits totaling no more than $250,000 to several people associated with Chinese state owned companies. The lawsuit seeks to recover damages stemming from the alleged misconduct and to force the company to make improvements of its corporate governance and internal procedures to ensure that similar events will not happen in the future. This entry was posted in Current Lawsuits & Investigations and tagged QUALCOMM INC. LAWSUIT on August 5, 2015 by Gilman Law. Gilman Law LLP has announced that on July 22, 2015 a federal securities class action lawsuit was filed on behalf of purchasers of LifeLock, Inc. (NASDAQ: LOCK) common stock between July 40, 2014 and July 20, 2015. The complaint alleges false and/or misleading statements made by the company in which it stated they were in compliance with a 2010 settlement with the Federal Trade Commission (“FTC”) regarding the company’s advertising and its business and services explaining the violations subject to the 2010 settlement were based on past practices and technology. The plaintiff states the company was not in compliance with the FTC settlement, nor did the technology match up to what the company claimed in its advertising. On July 21, 2015, the FTC issued a press release stating LifeLock violated the 2010 settlement with the agency and 35 state attorneys general by continuing to falsely advertise its identity theft protection services and not taking steps required to protect its customer’s data. On this news, LifeLock shares declined $7.91 per share, nearly 50%, to close on July 21, 2014 at $8.15 per share. This entry was posted in Current Lawsuits & Investigations and tagged INC. LAWSUIT, LIFELOCK on August 5, 2015 by Gilman Law. Gilman Law LLP has announced that federal securities class action lawsuit have been filed on behalf of purchasers of Keurig Green Mountain, Inc. (NASDAQ: GMCR) common stock between February 4, 2015 and May 14, 2015. The complaints allege false and/or misleading statements made by the company’s top executives relating to the sales projections of a new larger capacity brewer and the release of a cold-drink system. The plaintiff states that in February, 2015 the company projected net sales growth in the midsingle digits for the 2nd quarter. Also, CEO Brian P. Kelly told analysts during a conference call that Keurig Kold was on track to be released later in the year. When Keurig’s second quarter numbers were reported in early May of 2015, the net sales growth was just 2%, causing shares to drop more than 9% to $98.16. Keurig’s shares were hit again a week later then the company announced during a webcast that the Keurig Kold would be available online and in select stores in the fall but not available in all retail stores until 2016. Upon this news, Keurig’s stock fell 8% to close at $94.26. This entry was posted in Current Lawsuits & Investigations and tagged KEURIG GREEN MOUNTAIN INC. LAWSUIT on August 5, 2015 by Gilman Law. Gilman Law LLP has announced that on June 9, 2015 a federal securities lawsuit was filed on behalf of a shareholder in Caterpillar Inc. (NASDAQ: CAT). The complaint alleges the company’s board failed to disclose a tax evasion scheme by auditor PricewaterhouseCoopers. The lawsuit points to a May 2 proxy statement which voted to keep PricewaterhouseCoopers as the company’s auditor following the 2014 Senate committee report that found Caterpillar created a Swiss entity to move $8 billion in profits thereby avoiding $2.4 billion in U.S. taxes. Plaintiff contends that the company did not disclose key information relating to the alleged wrongdoings of PricewaterhouseCoopers as it helped Caterpillar keep its books. This entry was posted in Current Lawsuits & Investigations and tagged CATERPILLAR INC. LAWSUIT (CAT) on August 5, 2015 by Gilman Law.